Welcome to the Kindle Fire giveaway sponsored by Bee Savy and hosted by Debbie Does Coupons. This giveaway starts at midnight EST on 9/1 and will end at 11:59 PM EST on 9/15. One lucky winner is going to receive a Kindle Fire! I like horror and suspense novels. But here lately I've been reading nothing but childrens books to my kids. 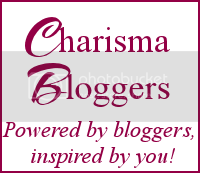 FREE iPad3 Blogger opp with share post!